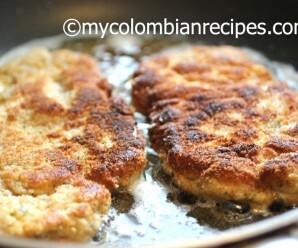 This dish is from my hometown of Antioquia. 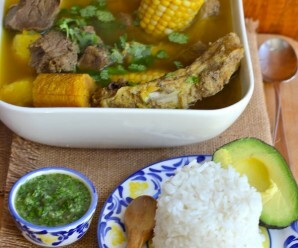 Pork is one of those things that every “Paisa” eats and there are so many ways to cook it. We smoke it, we braise it, we roast it and we bake it. In Antioquia, we love to add fruit and sweet sauces to pork. I absolutely love the addition of sweetness to pork, it is the perfect combination. 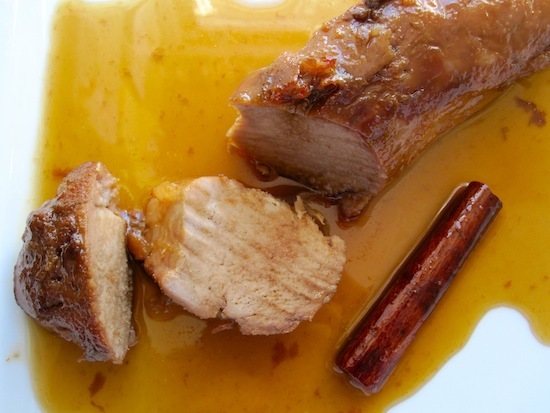 Cerdo al Caramelo or Pork Loin with Caramel Sauce, was a staple in my house growing up. My mom made this dish often and we all loved it. 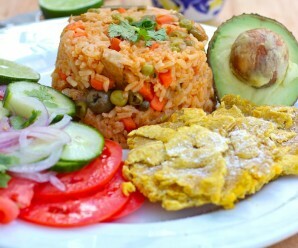 This dish is lovely served over white rice or mashed potatoes, or you can serve it with yuca fries. It’s a delicious main dish for a dinner party. Grind together the garlic, onion, salt, and pepper. Spread the mixture over the pork and allow it to sit at room temperature for at least 20 minutes. Place the pork in a pot and add 5 cups of water. Cover and cook over medium heat for 30 minutes. Transfer the pork to a roasting pan and set aside. Add the cinnamon sticks, melted butter, brown sugar or panela, and ground cloves to the cooking liquid. Mix well and add the mixture to the pork. Cook for 30, or until a meat thermometer inserted into the middle of the pork reads exactly 138 degrees. Add more water if necessary. Cover the meat with aluminum foil and allow it to rest for 15 minutes. Arrange the meat on a platter and pour the sauce on top. Sprinkle with salt and freshly ground pepper to taste. Serve warm. 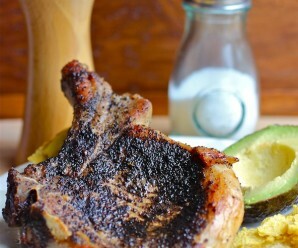 This pork could possibly be one of the best I’ve seen – a must try! I have never hear of this dish, but I can taste the sweet and savory. I don’t know if I told you but my blog has disappeared and I lost many months and all my followers, etc. Will be back in about a months time and will let you know. This pork dish sounds magnificent! I like to pair pork with jams and honey but never saw it with caramel sauce like here: will make this soon! Oh wow, Erica, this looks beautiful and sounds absolutely wonderful! Did you use a pork tenderloin instead of a loin? You’re right, Erica, nearly every pork dish I have has some sort of sweet with it—usually apples, which is why I really love this recipe! Pork is extremely common around here, probably more so than beef or lamb. I usually buy a complete cinta de lomo and cut it up to give several roasting joints and about a dozen or more decent thickness (⅝ – ¾ inch) steaks (the Spanish typically do theirs wafer thin to flash-fry them). At least one of the roasting joints I will cut in a spiral fashion and stuff with various fruits – raisins, dried apple, dried peaches, or whatever else we have in store (we dry our own when there is a surplus) and then cook for 8-10 hours on low in the slow cooker. I might try adding the caramel topping next time. I am hosting my friends to watch the Colombia/England world cup game Tuesday. We take turns hosting various games during the world cup and the host always makes foods appropriate for one of the teams. Instead of going the easy way and making some England-style dishes, I am going with Colombian cuisine. My menu (all from your website) will be Aguardiente Sours, Cerdo al Caramelo, Yucca Fritas with Salsa Rosada and Ensalada de Frijols y Maiz. I love to cook and love to make new dishes. My question about this pork recipe is about the roasting process. Am i correct that the roast should sit on the bottom of the roasting pan in the liquid mixture and essentially be braised in the oven? Should I cover the pan while braising? Thanks in advance. I am really looking forward to making these dishes and will let you know how they come out.